Welcome! Here you will find articles of various topics. Many will be of pagan origin, but others will focus on a variety of subjects. This will be a sharing from Dale to the world. Please enjoy and freely comment! Many Pagans take an eclectic approach to their faith, preferring to use material from a number of sources, rather than subscribing to one pantheon and a set ritual approach. Within Paganism there are, however, distinct paths such as: Wiccans, Asatru, Shamanic, Traditional Witches, Hedge Witches, Seax and Druids. All of them offering training and support. Through the work of their leading writers and others, they are gaining acceptance within society, and being regarded as a genuine form of religion. Pagans practice a form of ancient and newly reformed spirituality, based on our relationship to the land as Goddess and Mother. Pagan groups often have a structured hierarchy, with a High Priestess and High Priest, although this is not always the case. We have clear moral guidelines, which are found in, for example, the Wiccan Rede (more on this in a later article). We use ritual forms of worship, often performed outdoors, at sacred sites, or sites of importance to our traditions or to ourselves. The ritual calls on our Gods and Goddesses through careful re-enactment's of mythical stories, and other forms of worship. We also use methods of divination, and some may use spell work. Pagans believe that magic is a real force which exists in the world, that this power is our birthright and that it is in our best interests to try to remember how to use it to aid our own growth and learning. The operation of magic is defined as the art of causing a change in consciousness in accordance to will. In doing so, we grow and develop, but such change attracts personal challenges and difficulties. The road is not a smooth one, nor should it be. It is through problems and difficulties that we learn to grow as spiritual beings. Although at the time it may not feel like that. In fact, these personal problems will probably completely change the way we live. So one thing anyone needs to really consider carefully when deciding to follow a pagan path is: Are you ready for such change? Magic is a flowing, creative force and Pagan traditions reflect this by being neither still nor dogmatic. They constantly evolve and change. Every person who studies Pagan ways has something to add to the resources and traditions that already exist. Personal growth is the aim of every Pagan and to achieve this you need to find the path and the ways of working that suit you best as a unique individual. The most important rule is that you follow your heart and always do what feels right to you. Because we work closely with the natural forces of the world we develop a deep respect for the planet and often see Her as a living entity in Her own right, the Earth Mother. This deep devotion to the Earth means that Paganism usually becomes a way of life. This way of life influences most of the decisions we will make in this lifetime on various levels. It will become a natural way of life, with the influence happening without much thought given. Finding yourself in harmony with your surroundings and the Earth that provides us with much, is a very satisfying feeling at the end and beginning of every day. Dale is published on various websites and enjoys a large online following. Below is more about Dale: Has studied many different spiritual paths over the years. Was was raised “Christian” in a very loose sense…no church was mandated…but basic Christian beliefs were taught. 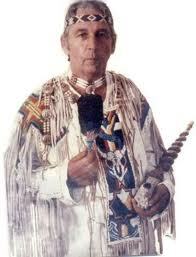 Studied Native American traditions and beliefs for well over two years with Chief Two Trees in Old Fort, North Carolina. Studied the philosophy of Kashmir Shaivism under Gurymayi Chidvilasanda for four years. Currently he is on a path he refers to as Celtic Shamanic Wicca… a very eclectic mix for him, that works well with Celtic traditions, Native American Traditions, and of course Wicca. He does not see leaving this Path, as it has been his Path for many years now. He reads the cards using a deck called The Well Worn Path…. a Wiccan Deck. Married to Esta , High Priestess, pagan artist, jewelry craftsman, and author. IcyBoards and Free MyBB Forum Hosting! Copyright by Dale Hyde. Awesome Inc. theme. Powered by Blogger.